Do you own, or are you considering buying a pole saw in Cork or Ireland? Pole Saws are an invaluable tool around the garden, and it’s helpful to know when it’s appropriate to use it. If you’re cutting thicker branches or vines and you can’t rea ch it, you’re either going to need to prune from a ladder, call in an expert or use a pole saw. A prune saw will allow you to cut from the ground to anywhere up to 6.4 metres. Because you must stand under the branch you’re cutting, safety is a must. Tree surgeons will usually secure branches with rope so that once they are cut there is no risk of them falling on top of them. You won’t be able to do this with a pole saw. For safety reasons, you must avoid cutting heavier wood. It’s for this reason that Pole Saws are designed for use on limbs of up to but not beyond a thickness of 5 centimetres. Also be aware that if you hold equipment overhead for long periods of time you will get exhausted quite quickly, so it’s important that you take regular breaks. Exhaustion will make you sloppy, and it’s important to be alert and consider how you are going to make a cut safely before you begin. Also, be aware of power lines near any branches you are cutting. If the line is near or below the branch, call a professional. Make sure there are no obstacles near you. Your attention will be upwards and it’s easy to stumble or fall on something. For lower branches, it might be best to use handheld garden prunes. Don’t be impatient. Most branches will need a number of smaller cuts to reduce the weight before your final cut. Bring your pole saw to a vertical position using both hands. Take care to control its weight. When you bring the saw to your cutting spot, let the saw’s weight rest on the branch. Find a position where you can hold the pole saw at chest level while standing well off to the side of the limb, never below it. The pole saw should be at an angle while you cut, not directly up and down. To start, cut perpendicular to the branch so that your first stroke create a groove in the wood to guide you. This will make the rest of the cut easier. Keep your eye on the branch and be ready to step out of the way at any time. Remove all obstacles before cutting the next branch so that it does not trip you up. Pruning your garden plants on a regular basis can help to extend their life. Removing a portion of the oldest plant will encourage new growth, thereby promoting a more vigorous and healthy plant. Removing any dead, damaged, or infected parts of a plant will increase its health, it also prevents insects or other organisms from harming the rest of the tree. That can save the plants life, and more importantly, save you money on a replacement plant. Pruning can prevent health problems from happening in the first place. Thinning out branches will increase the amount of airflow and light to the centre of the plant. This will help to minimize the potential of developing diseases and other problems. 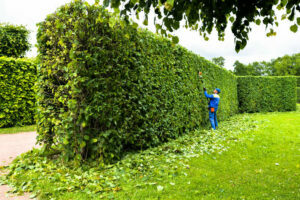 Pruning will also visually enhance the appearance of the plants in your garden. Pruning out the oldest plant parts and branches encourages the growth of new wood and plants and suppresses unwanted growth which will keep our gardens looking young and healthy. Pruning can also help to control the size and shape of plants, which will prevent them from becoming overgrown in the garden. This helps maintain the form and structural integrity of it. It increases the amount and quality of flowers and fruit that are produced in your garden. Pruning encourages the growth of new healthy shoots. By cutting your branches back to just above the lowest outward facing bud, encourages new shoots to grow outwards instead of congesting the centre of your plant. Pruning begins training younger trees for pollarding or for trellising to form an espalier. Removing the parts of plants and branches from a tree provides clearance and easy access to your garden. 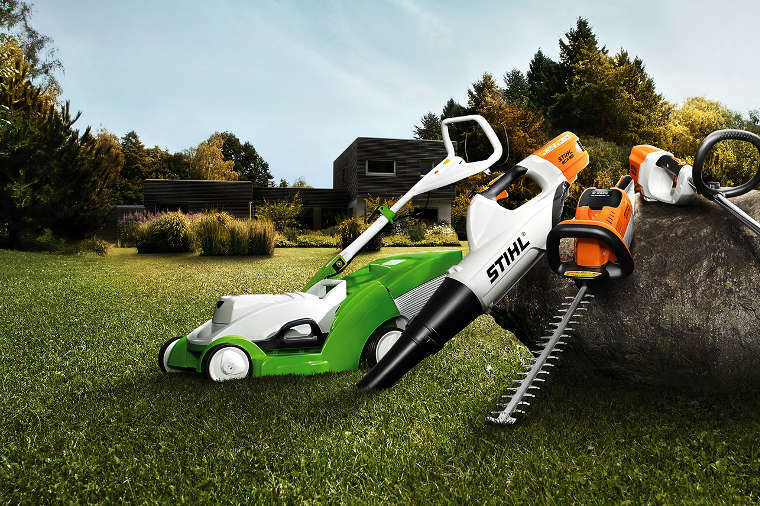 Gardeners and homeowners use various garden tools and tree designed for the maintenance of their gardens such as saws, clippers, hand pruners, shears or trimmers. In general, pruning can be done at any time of year and will give you a better looking and more healthy garden. If you would like to learn more about pruning then call us on 021-496-5132 or visit us online today. Pruning is essential for providing a beautiful appearance and healthy garden. When you prune a plant you change its form and its growth pattern. If you’ve ever struggled with it, you know what it’s like. Lots of time can be spent fighting and wrestling with plants, tearing until a branch comes free and you can even end up with sore arms and damaged plants. This can all be avoided with the right pruning tool. Different tools have different features and work better than others in certain situations. Here are 8 pruning tools you need for your home. The Silky Super F180 Saw is a lightweight and strong folding saw containing a 7-inch blade. This blade is rust resistant, hard chrome plated and taper ground with an impulse-hardened non-set tooth designed for a greater cutting efficiency. This pruning tool consists of a smooth cutting technology and a sharp blade with four cutting angles providing a fast, clean and very smooth cutting action. Its fibreglass polypropylene handle with a rubber insert ensures a firm and comfortable grip. It is ideal for all pruning tasks and outdoor projects. The Silky Pocketboy Saw is a folding saw with 10 inch-teeth per 30mm making it perfect for all pruning tasks in your garden. This tool consists of a strong and comfortable rubber handle making it easy to grip and a mirror polished blade which can be set to two angles. It also comes with a case and there are replacement blades available. The Silky Super Accel Saw is a lightweight folding saw with a 210mm blade. This tool is specifically designed for aggressive cutting tasks. The blade is rust resistant, hard chrome plated and taper ground with an impulse-hardened non-set tooth designed for a greater cutting efficiency. This piece of pruning equipment is produced with a smooth cutting technology and a sharp blade consisting of four cutting angles providing a fast, clean and smooth cutting action every time. The non-slip cushioned comfort rubber handle and high-quality parts make this a high-performance tool that is ideal for all pruning jobs. The Silky Big Boy Saw is a multi-purpose folding saw with a 360mm blade. It is the largest Silky folding saw available and consists of smooth cutting technology and a precision-ground, razor-sharp blade. The blade has four cutting angles along the length of the blade all ensuring a fast, clean and smooth cut. Its blade has a non-set tooth design allowing a greater working reach, faster-cutting ability and can handle large objects with little to no effort. This piece also has a non-slip two-handed rubberised cushioned handle ensuring a comfortable grip at all times. Its exceptional design, strength, balance and superior finish quality of this pruning tool makes it ideal for all pruning tasks and wood related projects. The Silky Gomtaro Saw is a straight blade pruning saw consisting of an ultra-strong, mono-constructed blade and MIRAI-ME smooth cutting technology. The blade is made up of a rust-resistant material, hard chrome plated and an impulse-hardened non-set tooth design. As well as that it is precision-ground and has four cutting angles which give a fast, smooth and clean cut every time. This piece of pruning equipment has a great cutting efficiency. The Gomtaro saw tool combines high-performance with a non-slip cushioned comfort rubber handle giving it a great grip feel and performance. It comes with a durable polypropylene sheath fitted with a belt clip. This tool is ideal for all pruning tasks. The Silky Zubat Saw is a heavy-duty, professional curved saw with 7.5-inch teeth per 30mm. This tool is suitable for cutting large branches and pruning above your shoulders. It consists of a moulded rubber handle and a specially designed sheath for the curved blade with a detachable belt holder. This saw is ideal for large sized pruning tasks and is available in different sizes. The Silky Sugoi Saw is a fast cutting saw ideal for the professional arborist. This pruning tool is made with 6.5-inch teeth per 30mm. It has a uniquely shaped curved blade with a non-slip rubber handle making it a comfortable, high performing piece of equipment. Its 360mm scabbard features an easily replaceable plastic insert and both scabbards can be attached to the belt or to the leg. The blades can be sharpened with a feather-edge file and can be replaced simply by removing the screw. This tool is available in different sizes and is ideal for pruning large, tough objects. 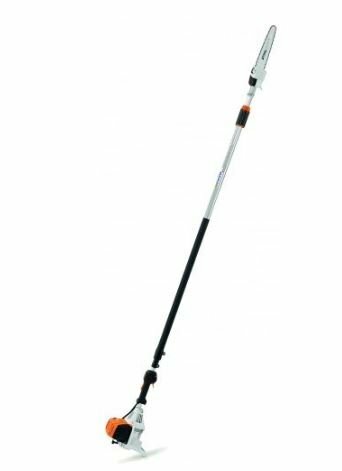 The Silky Hayauchi Telescopic Pole Saw is great for home gardeners and tree loppers. The oval aluminium shaped poles provide precise control over the direction of the blade, giving it strength and rigidity which is very important for high cutting. It has aggressive teeth on a precision Japanese steel blade. This tool has rigid aluminium poles that can quickly extend to the desired cutting length. The blade is nearly 16-inches and has the largest teeth available in a razor tooth design. It also has a sharpened base and tip for scoring the branch to avoid ripping damage to the branch collar. There are buttons on this tool which allow various length adjustments and its safety clamps holds them firmly in place. The pole has a comfortable and rubber hand-grip ensuring a good hold and control. The blade can be adjusted depending on if you are cutting low or high. This is the finest telescoping pole saw available on the market today. Pruning is an essential part of home gardening. 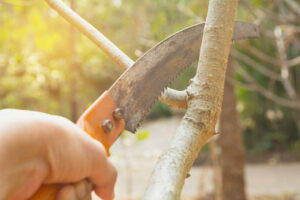 Successful pruning results come from using the best pruning tools so it is important to look at all the different pruning tools available and find the best fit for your garden. If you would like to find out more about our pruning tools visit us online today or call us now on 021-496-5132.